Microbiologist Louis Pasteur (1822-1895) is best known for discovering that microorganisms develop during fermentation. He invented pasteurization, a process to make liquids safe to drink by heating them to kill bacteria and molds. 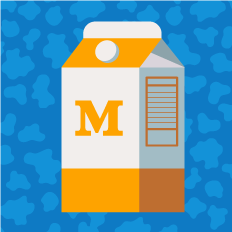 Pasteurization has revolutionized food safety and the way the world drinks. Raw milk advocates claim key health benefits are destroyed during pasteurization, which scientists dispute. Scientists cite too many risks with drinking untreated milk. There continues to be ongoing controversy around who determines organic, natural, and raw food safety. In 1960, Enovid, the first oral contraceptive pill, hit the market and plastic condoms came out in 1995. 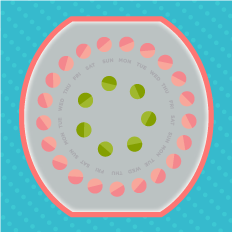 In 2000, four new birth control products were approved by the FDA—the first in a decade. Contraceptives transformed women's lives globally and revolutionized the modern women’s rights movement. Ongoing religious and cultural traditions don’t allow women the right to use contraceptives. In 2007, the first HPV (a sexually transmitted disease) vaccine to prevent cervical cancer was created. 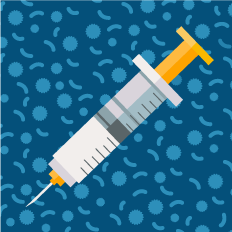 Given to women between 11 and 26, the vaccine is criticized as condoning sexual activity instead of abstinence. Edward Jenner (1749-1843) published a paper in 1796 about smallpox inoculation, which led to the first vaccine. The International Smallpox Eradication Program was established 170 years later and through mass immunization, the disease was wiped out in the Americas in the 1950s. Massive global efforts for vaccination brought worldwide eradication of smallpox in 1977. The number of unvaccinated children have steadily increased in the last decade. Parents are claiming nonmedical exemptions from vaccinations, leaving their children—and other children in their communities—vulnerable to diseases. There is heated disagreement about vaccines and their connection to autism. DNA’s double helix model was first published by James Watson and Francis Crick in 1954. 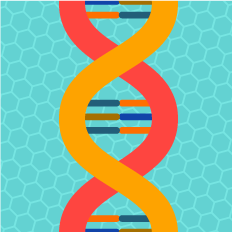 In 1990, the Human Genome Project endeavored to map our DNA down to the nucleotide (or base pair) level, which was completed in 13 years. Invaluable practical uses resulted even before the research was complete, including insights to human disease. Many say it’s wrong to use or clone human stem cells, which can grow indefinitely into any of the 220 types of cells found in the human body. With better knowledge of DNA, in 2008 scientists found human skin cells could create embryonic stem cells. But many opponents decried cloning human stem cells as crossing a moral line. 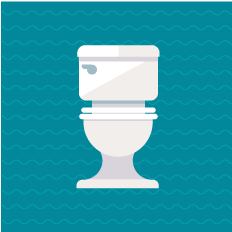 In the 1920s, the first flushing toilets with indoor plumbing became widespread in American homes, revolutionizing public hygiene and safety. Toilets are ubiquitous in most developed countries. Millions of people still lack basic sanitation, and have a higher risk of deadly waterborne diseases. Work is still needed to produce toilets that are more practical to the 40% of the world where toilets and access to water, sewers, and electricity are scarce. 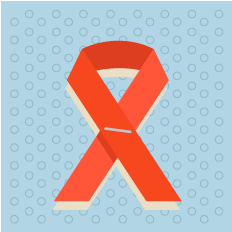 HIV/AIDS gained a lot of attention in the 1980s, but stigma still exists around the world in a variety of ways, including ostracism, discrimination, compulsory testing without prior consent and involuntary quarantine. While there’s no cure, anti-retroviral treatments have been developed, allowing many infected individuals to lead healthy lives. 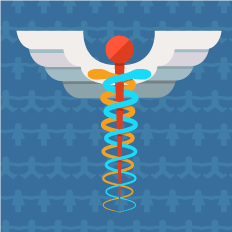 Cultural stigma prevents people from seeking testing and treatment. Anti-retroviral medicines are available but are too expensive for many to afford. The first person “cured” of HIV/AIDS was effectively given a new immune system, which is difficult to replicate or scale. American Lillian Wald (1867- 1940), a nurse, social worker and feminist, introduced the pioneering concept of "public health nursing," which placed medical care within the reach of the poor. Wald established a nursing insurance partnership with Met Life Insurance that became a model for many other corporate projects and proposed that America adopt a national health insurance plan. Today, America’s Affordable Care Act began enrollments on October 1, 2013. Nationalized healthcare remains one of the most heated, divisive issues in the country, with the government shutting down for two weeks in October 2013 as politicians attempted to stop implementation of the Affordable Care Act. Low income and immigrant communities are more likely to have low access to healthcare and today we still don’t have a system where nurses can serve poorer neighborhoods on a larger scale. In 1928, Scottish physician Alexander Fleming (1881-1955) inadvertently discovered penicillin, the first antibiotic. This discovery that antibiotics can fight infectious disease would be one of the most important of the 20th Century. Saving countless lives, antibiotics are some of the most effective weapons we have to stop bacterial diseases. 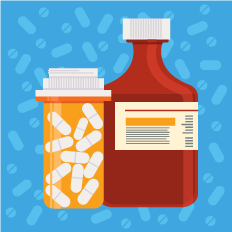 “Superbugs” that are resistant to antibiotics are a growing, man-made problem caused by overprescribing antibiotics, drug misuse, and patients not completing their treatments. Large-scale drug production by pharmaceutical companies monopolize drug markets, leading to accusations of price inflation, generic drugs discrimination, and profit from human suffering. With the mass influx of immigrants to American shores during the 19th and 20th Centuries, the government mandated health quarantines. To prevent the spread of infectious diseases, these involuntary quarantines required mandatory health inspections and treatments, including spraying people en masse with disinfectant. Identifying and treating infectious individuals helps prevent widespread outbreaks. 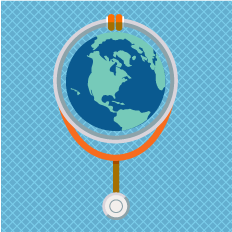 International travel makes it easier to spread pathogens quickly. But many protest that regulations cross the line with mandatory health tests, detaining or fining travelers, and demanding personal health histories. Many disagree on which regulations go too far and which are not enough. There is no universal quarantine law that’s enforced by an international governing body. In 1970, the Environmental Protection Agency (EPA) was established under the Nixon Administration in response to growing public concern that legislative policies didn’t take into account environmental health and safety. 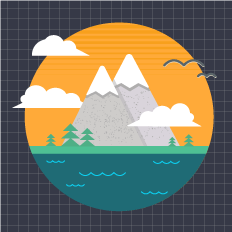 The EPA is responsible for protecting human health and with safeguarding air, water, and land. The EPA has the power to enforce federal regulation standards. It’s unknown how pollution is related to chronic illness, asthma, cancer, and death and many argue the EPA either does too little (or too much) to safeguard environmental and human health. Many argue that an increase in regulations related to chemicals, emissions, pesticides, water and waste destroys jobs and the economy. Hot button topics including climate change, fracking, and superfund cleanup fuel criticism about how the EPA handles human health issues. There are an estimated 660,000 deaths annually from malaria, mostly among African children. 219 million people contract it annually. 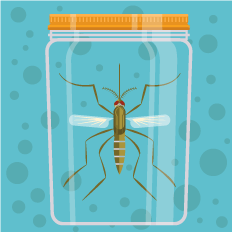 Bug sprays are recommended to prevent mosquito-born diseases like malaria, and most contain DEET, a chemical first developed by the U.S. military for personnel. DEET is considered one of the few insect repellents that are truly effective. Due to the extremely high cost of malaria prevention medication, many opt to risk exposure, since the cost of malaria treatment is often less expensive. The use of chemicals like DDT as insecticides to destroy mosquitoes is highly controversial because of its known harmful effects. But many argue that eradicating malaria is worth the risk. Insecticide-treated nets cost under $10 each are considered to be among the most cost-effective ways to save lives, but there have been signs of growing insect resistance to the insecticides used. the world has seen many health innovations that have inarguably saved lives, reduced illness and prevented severe outbreaks. Yet whether due to unforeseen consequences, changing moral or cultural attitudes, or environmental concerns, many of these innovations have become sources of controversy and debate today. 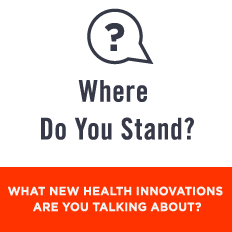 and tell us where you stand and what new health innovations you're talking about.